Surrounded by his loving family, after a lengthy illness Robert Jones of Clearwater, BC, passed away peacefully at Kamloops Royal Inland Hospital on July 30, 2014. He was 71 years of age. Born in Portland, Oregon on April 28, 1943, Robert was predeceased by his wife Gloria Jones, his father Millard T. Jones, and his mother Maybelle Jones. He is survived by his children Rhonda England (Mike England) of Clearwater BC, Yvonne Pendree of Surrey BC, George Jones of Surrey BC, Charlene DeMings (Daniel) of Kamloops BC, Tony Kuczynski (Joanne) of Brampton, Ontario, Audra Heath (Rex) of Thompson, MB; by his grandchildren Dustin DeMings, Lisa Elliott, Kyle Pendree, Kirk O Brien, Logan Bennett, Brandyn Bennett, Kyla England, Michael England, Colin Jones, Justin Jones, Tara Jones, Jeremy Jones, Alexa Kuczynski, Jeffery Wonnick, Brent Harding, Robert Harding; and by his great grandchildren Jayda DeMings, Rhianna Elliott, Samuel Elliott, Lilyannaa England, Brady England, Kaiya Pendree, Taylor Wonnick, Brody Wonnick, Wyatt Jones, Cyrus Jones and Mila Jones. Robert grew up in Portland, Oregon and upon graduation he spent many years in service to the United States Navy, in which he did a tour of duty in Vietnam. In 1965 he met and married the love of his life Gloria Sanderson. He then moved to Canada with her and they began raising their six children. Robert worked hard to provide for his large family at many types of employment such as auto mechanics, home construction, and property management. He was an avid auto enthusiast. Robert’s hobbies included travel, camping, fishing and playing poker on poker nights with his buddies. He loved reading, and watching his space channel. A devoted husband, father and grandfather, he will also be missed by his many nephews and nieces. 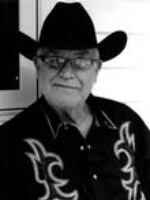 A funeral service for Robert Jones will take place at 11:00 a.m. on Saturday, August 9, 2014 at the Avalon Funeral Home, 13288 108th Avenue, Surrey, BC. Visitation will take place the evening before, August 8th, from 7:00 p.m. to 9:00 p.m.